it can be widely used in autobody bottom sanding, hard-surface sanding, metal, wood, glass, plastic, leather, paint, cellphone crust, digital camera crust, varnish and stone surface cutting and polishing, jewelry, mold, mechanism, artcraft etc. NOTE: sandpaper tool and glove in the picture are not included in the package. SUBANG is an authorized brand sold only by LIFE.E, otherwise, it must be counterfeit. To avoid the loss of your rights and benefits, please confirm it before buying. Scotch-Brite(TM) light cleansing pad conformable web and fine mineral are excellent for fine finishes, light cleaning. Aggressive abrasive hand pad. May be used by hand, with a hand pad block or on an in-line sander. Measures 9-inches length by 6-inches width. The super-fine grit of Micro-Mesh papers will give all or you projects that wet look finish. 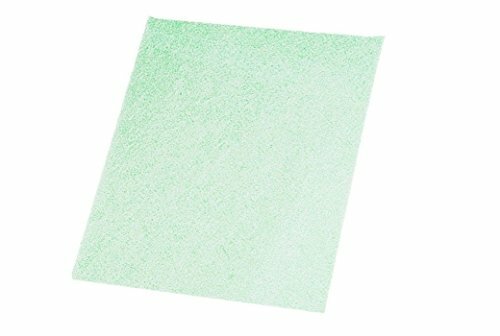 Foam backed ultra fine grit 3 x 4 2-sided pads used either wet or dry will put a sheen on bare wood or a beautiful luster on finish coatings. Abrasive crystals last up to 15 times longer than normal abrasives. Kit includes on each of 1500, 1800, 2400, 3200, 3600, 4000, 6000, 8000, and 12,000 grit pads. Brand: Micro-Mesh | Manufacturer: MICRO-SURFACE FINISHING PROD. 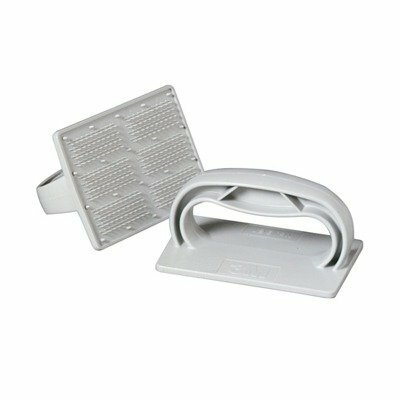 961 Features: -Pad holder.-Specially designed for use with Scotch-Brite Hand Pads to help make cleanup jobs faster, easier and safer.-Distributes pressure evenly over pad surface for efficient cleaning action.-Enables longer pad life. Color/Finish: -Color: Gray. 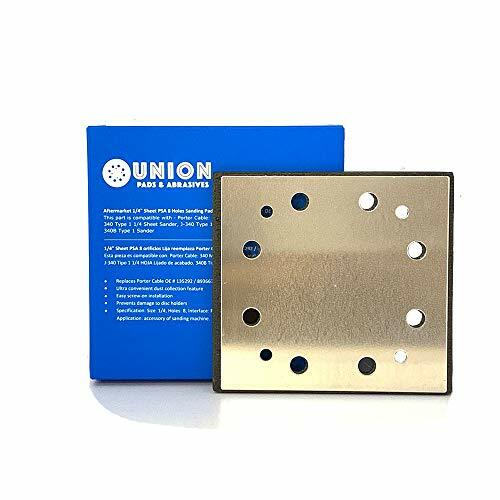 Dimensions: -Dimensions: 4.75'' H x 3.5'' W x 2.5'' D.
Included with a Mirka Abralon 8A-241-180B 180 Grit Silicon Carbide Sanding Polish Pads, 5-Pack and Designed with a Hook and loop design and with a patented special abralon method coating the sanding pads are designed specifically for sanding rounded surfaces, corners, and sharp edges. The Abralon creates a smooth sanding pattern on angled surfaces and edges. Ideal for all types of applications including Automotive Refinishing, Construction and Decoration, Wood Processing, Metal Processing, Composites Processing, Marine Industry, and Vehicle Manufacturing. 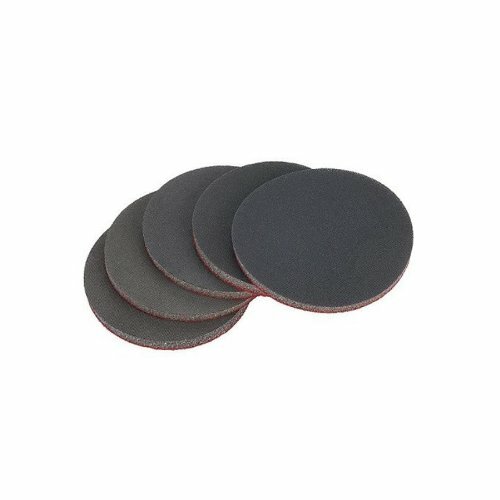 Each Mirka Abralon Sanding Pad can be used on Aluminum, Hardwood, Mild Steel, Carbon Steel, Paint Sanding, Lacquers, Plastics, Body Filler, Primer, Solid Surface, Stainless Steel, Steel, Copper Alloys, Brass, Bronze, and Glass Fibre. 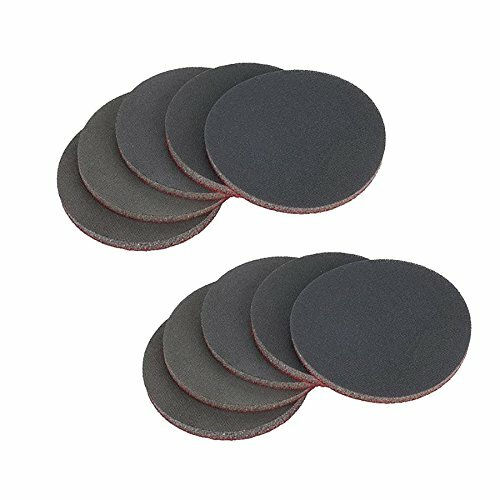 With a patented special abralon method coating the sanding pads are designed specially for sanding rounded surfaces, corners, and sharp edges the Mirka Abralon Grit Silicon Carbide Sanding Pad comes included with (2) 500-Grit Sanding Pads, (2) 1000-Grit Sanding Pads, (2) 2000-Grit Sanding Pads, (2) 3000-Grit Sanding Pads, (2) 4000-Grit Sanding Pads. The Abralon creates a smooth sanding pattern on angled surfaces and edges. Ideal for all types of applications including Automotive Refinishing, Construction and Decoration, Wood Processing, Metal Processing, Composities Processing, Marine Industry, and Vehicle Manufacturing. 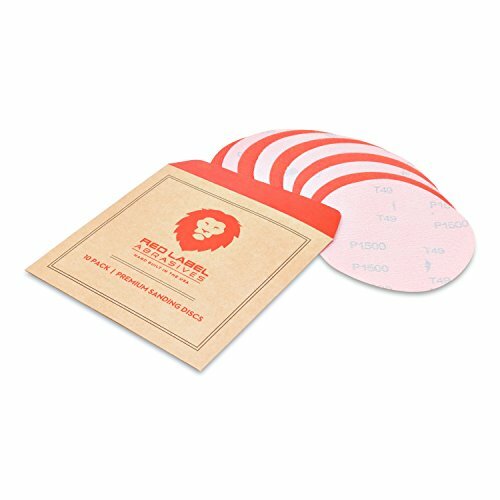 Each Mirka Abralon Sanding Pad can be used on Aluminum, Hard wood, Mild Steel, Carbon Steel, Paint Sanding, Lacqueres, Plastics, Body Filler, Primer, Solid Surface, Stainless Steel, Steel, Copper Alloys, Brass, Bronze, and Glass Fibre. Use the Sonic rafter RW8941 perforated sanding finger pad with the preferred grit sanding sheet to sand the most detailed and small areas. It easily fits into corners and the tightest spaces. No more wrapping sand paper around your fingers, with the finger pad, simply attach it to the sonicrafter, pick the sanding sheet grit, and sand the most detailed and tight spaces with ease. For use on Rockwell Sonic rafter and Shop Series Sonictool models, RK5139K. RK5139K, RK5140K, SS5120. Abralon is a unique, multifunctional sanding material developed for tackling both smooth and profiled surfaces. 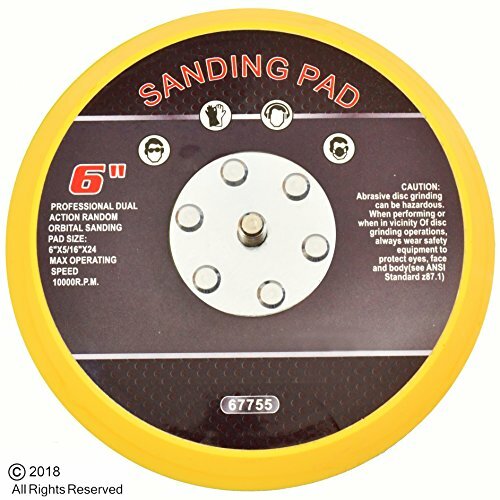 Its patented, flexible construction allows it to create a smooth sanding pattern on angled surfaces and edges while minimizing the risk of pressure marks. The flexible weave also allows water and air to pass freely, making it suitable for both dry and wet sanding, by machine or by hand. 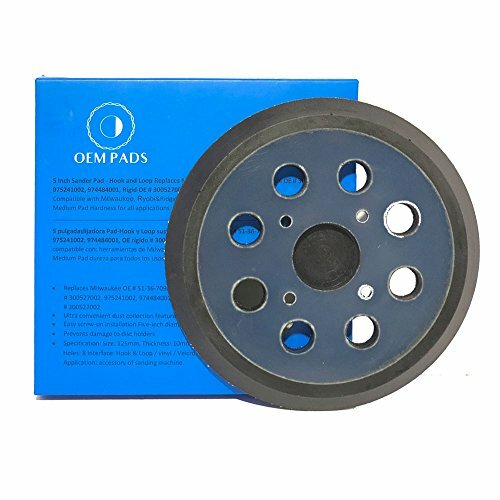 These pads are ideal for all types of applications including Automotive Refinishing, Construction and Decoration, Wood Processing, Metal Processing, Composites Processing, Marine Industry, and Vehicle Manufacturing. 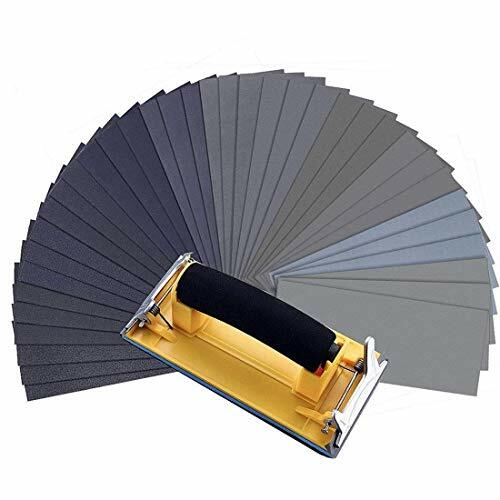 Each Mirka Abralon Sanding Pad can be used on Aluminum, Hard wood, Mild Steel, Carbon Steel, Paint Sanding, Lacquered, Plastics, Body Filler, Primer, Solid Surface, Stainless Steel, Steel, Copper Alloys, Brass, Bronze, and Glass Fibre. 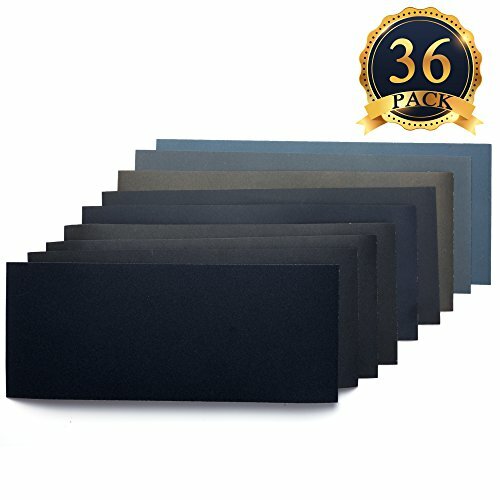 This pack includes five 3000 Grit Silicon Carbide Sanding Pads. Variety applications: perfect for furniture finishes, polishing of plastic and glass, etc. Including 4 sheets of each grit: 400/ 600/ 800/ 1000/ 1200/ 1500/ 2000/ 2500/ 3000, total 36 sheets. Dry or wet; Silicon carbide; Electro coated. Widely applied in automotive sanding, wood furniture finishing, wood turning finishing and more. Size: About 23 * 9 cm/ 9 * 3.54 inch(L*W). You can cut it to any size as your need. 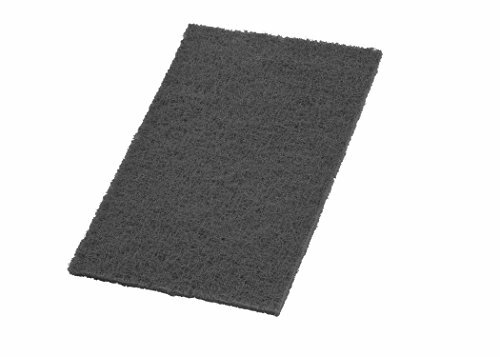 VSM abrasive, item #401255, 6X9 hand pad Gray ulf-micro. Silicon Carbide. Consistent finish. Optimum grain dispersion and the resin bonding on nylon fibers ensures continuous exposure of new grain. 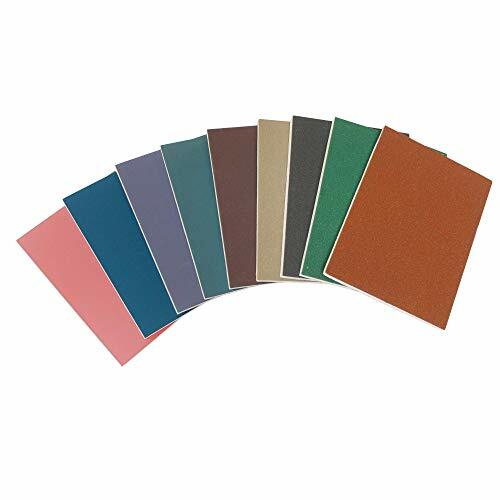 Brand: VSM | Manufacturer: VSM Abrasives Co.
Sandpaper and glasspaper, are names used for a type of coated abrasive that consists of sheets of paper or cloth with abrasive material glued to one face. Despite the use of the names neither sand nor glass are now used in the manufacture of these products as they have been replaced by other abrasives such as aluminium oxide or silicon carbide. or sometimes to make the surface rougher (for example, as a preparation for gluing). The grit size of sandpaper is usually stated as a number that is inversely related to the particle size. A small number such as 20 or 40 indicates a coarse grit, while a large number such as 1500 indicates a fine grit. 120 to 220 grit Wet Dry Sandpaper: for rough sanding and removing scratch. 320 to 400 grit Wet Dry Sandpaper: for light sanding between coats of finish, or to sand metal and other hard surfaces. 400 to 800 grit Wet Dry Sandpaper: for final finishing before painting. 1000 to 1500 grit Wet Dry Sandpaper: for sanding between coats. 2000 to 3000 grit Wet Dry Sandpaper: for buffing. Multiple Grits: Wet dry sandpaper Package include 3 sheets of each grit: 120/220/320/400/600/800/1000/1200/1500/2000/2500/3000, total 36 sheets, you will have a variety of options, meets all you need. Great Material: Wet dry sandpaper Made of waterproof silicon carbide, electro coated, good toughness, great polishing effect, high efficiency, long service life choose high quality natural abrasive. Wet and Dry Using: Wet dry sandpaper set use advanced production technology which can suitable for both wet and dry use will not fall apart, tear or crumble off during using. Widely applied in automotive sanding, wood furniture finishing, wood turning finishing, metal finishing and more. Meets all your need: A perfect sanding work obviously needs at least several grade of sandpapers. 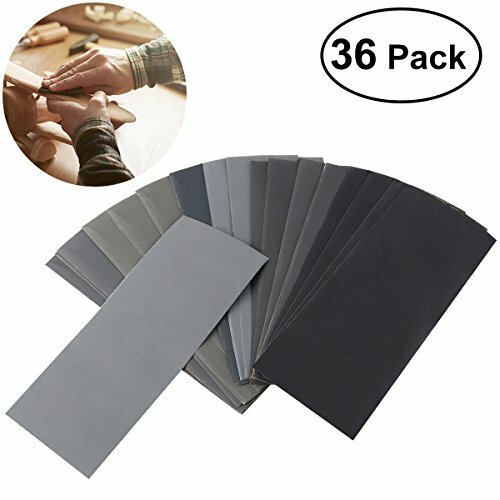 This wet dry sandpaper assortment including 12 types of grit, cover all you need from art and craft, wood work, automotive, metal, and plastic applications for buffing and polishing. Application :This wet dry sandpaper kit is perfect for handling all manner of odd jobs and little fixes from removing scuffs and abrasions on walls and baseboards to smoothing out wood or mold spurs on toys or furniture, refinishing handrails, or lawn furniture and even wet sanding blemishes from your vehicle. 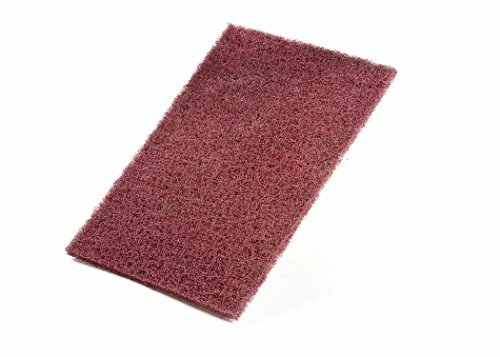 VSM abrasive, item #402395, 6X9 hand pad hand pad maroon. Aluminum oxide. Consistent finish. Optimum grain dispersion and the resin bonding on nylon fibers ensures continuous exposure of new grain. 5" Hook Velcro 1500 Grit Wet/Dry Autobody Film Sanding Discs, 10-Pack. Special waterproof polyester film aluminum oxide (A/O) loop backed (velcro) hook and loop plastic film discs are a solid choice for wet finishing on automotive, plastics, fiberglass, composites or other applications needing waterproof abrasives. These polyester discs are precisely stamped and bonded with an industrial grade hook and loop (velcro hook) backing. Film material provides a high strength product and a solid finish with a long working life. These discs work great on metal working applications. Use in wet or dry applications. Premium Heat Treated Aluminum Oxide (A/O) Grain Velcro (loop felt) backed discs. Fully waterproof P Grade Premium Aluminum Oxide Polyester (PE) film. Multiuse material designed for automotive (auto body paint), plastics, composites, fiberglass, marine refinishing, high gloss finishing. Ultra strong polyester (PE) film backing | Resin over resin bonding. 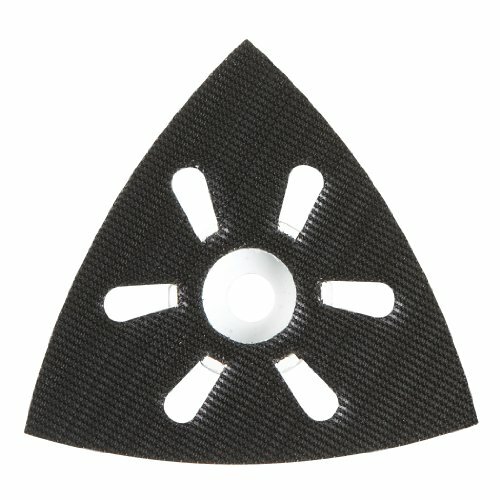 Hook backing fits on hook and loop (velcro) compatible sanders. Pen, Bottle Stopper or even small goblet finishing just became a bit more enjoyable with the Micro Mesh Soft Touch sanding pads! Starting with the lowest grit of 1500 all the way up to 12000 grit this abrasive pad pack is sure the leave your project just the way you want it. This pack works extremely well when working with CA finishes leaving your work looking like it was done by a professional! When using the pads it is recommended that start at the lower grit of 1500 and step or cycle your way up to the high grit of 12000. The more you get into to woodturning the more the reality of being organized comes into play. This couldn't be more true than when it comes to our abrasives. This unique dispenser accepts 2" x 2" Micro-Mesh abrasive pads. 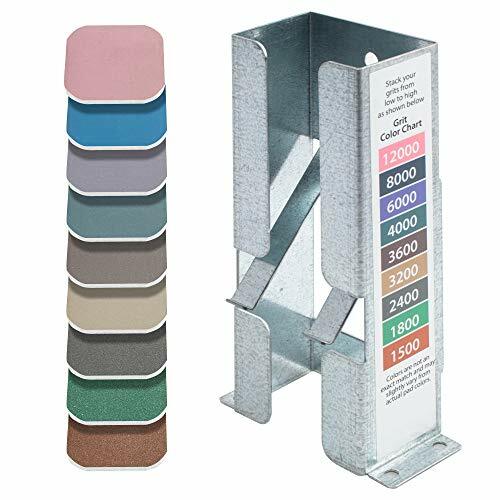 Specifically designed for the Micro-Mesh 2" x 2" 9 pack of abrasives, this dispenser has color coded grit chart to help keep your pads in order. This works wonderfully well when step sanding your finished turning project. Simply cycle your way through the grits by pulling the next grit from the dispenser and placing the used one back on top. The dispenser is made from corrosion resistant galvanized steel which also makes it extra durable for the workshop environment. It can be mounted flat against a wall or it can be mounted to a table top. Of course you don't have to mount it at all. The dispenser measures 6" tall, 3 " wide (at base tabs), 2-7/16" wide (actual abrasive holder) by 1 " deep. The colors on the grit chart and the colors of Micro-Mesh abrasives may vary slightly due to color shifts in the manufacturing process. Package comes with 9 color coded micro mesh pads and 1 each galvanized steel dispenser. Pen, Bottle Stopper or even small goblet finishing just became a bit more enjoyable with the Micro Mesh Soft Touch sanding pads! Starting with the lowest grit of 1500 all the way up to 12000 grit this abrasive pad pack is sure the leave your project just the way you want it. This pack works extremely well when working with CA finishes leaving your work looking like it was done by a professional! Specifically designed for the Micro-Mesh 2 x 2 9 pack of abrasives, this dispenser has color coded grit chart to help keep your pads in order. This works wonderfully well when step sanding your finished turning project. Simply cycle your way through the grits by pulling the next grit from the dispenser and placing the used one back on top. The dispenser is made from corrosion resistant galvanized steel which also makes it extra durable for the workshop environment. It can be mounted flat against a wall or it can be mounted to a table top. Of course you don't have to mount it at all. The dispenser measures 6 tall, 3 wide (at base tabs), 2-7/16 wide (actual abrasive holder) by 1 deep. The colors on the grit chart and the colors of Micro-Mesh abrasives may vary slightly due to color shifts in the manufacturing process. Package comes with 9 color coded micro mesh pads and 1 each galvanized steel dispenser.